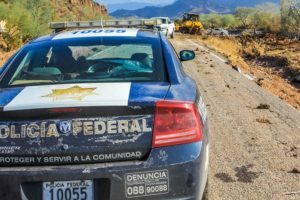 For years, Americans traveling to Las Gaviotas & nearby places by car were subjected to the occasional corrupt cop who flagged them down for a “violation” somewhere between Tijuana and Puerto Nuevo. This is a very rare occurrence these days as the Mexican authorities have pretty much put a stop to this activity. In the past, the hapless driver, usually scared and confused, would usually pay whatever amount that was demanded, to avoid following the cop to the police station, (something the cop really didn’t want… he just wanted your cash). If you are stopped by a police officer for a traffic violation in Tijuana or Rosarito, you should always politely insist on a written citation that you could pay either at the police station, or by mail. 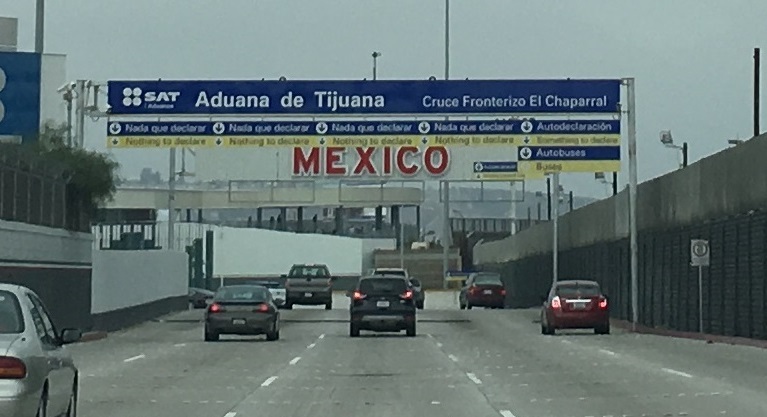 Tickets issued in Tijuana can be paid in the USA with a check or money order made out to: H. Ayuntamiento de Tijuana, 416 West San Ysidro Blvd. Suite “L”, No. 725, San Ysidro, CA 92143. Tickets issued In Rosarito can be paid in the USA with a check or money order made out to: H. Ayuntamiento de Rosarito, P.O. Box 439060 San Diego, CA 92143-9060. Tickets issued in Ensenada can be paid by sending a check or money order made out to: Municipio de Ensenada, PMB 147 P.O. Box 189003 Coronado, CA, 92178-9003. When faced with a fine that you consider unfair, you can contest the fine by filling an appeal (Recurso de Inconformidad), either in person or in writing, for a Municipal Judge to review. To do this, immediately go to the nearest Municipal Judge within the police station; if you need information on how to do this, call our Tourist Assistance Hot Line 078. Traffic Fines vary by city: (fines are in Mexican Pesos). For running a red light, from $226.00 up to $ 678.60 (around $20 to 62 US Dollars). For not having or not using seat belts, from $452.40 up to $ 678.60 (around $41 to 62 US Dollars). For using a cellular phone while driving, from $452.40 up to $ 1,000.00 (around $41 to 91 US Dollars). For driving without a valid driver’s license or car registration, $452.40 (around $41 US Dollars). For drinking alcoholic beverages on the streets, sidewalks or public property, from $452.40 up to 904.88 (around $42 to 82 US Dollars). For exceeding the speed limit from $ 316.00 up to 1,357.00 (around $29 to 123 US Dollars). For driving under the influence of alcohol or drugs (DUI). In addition to the fine, you may also be detained. From $ 904.88 up to $1,923.00 (around $82 to 175 US Dollars). If a policeman continues to tell you that you have to pay the “ticket” now, tell him that you have the “Sindicatura” phone number which is 072 (Citizen’s support line) and say that you are going to file a complaint. At the very least this should deter the officer from trying to force a bribe and he’ll then possibly write you a ticket. If he insists that you drive with him to the police station, say that you will follow him and most likely he will just let you go.